Nigel is a lecturer / researcher with the School of Nursing, Midwifery and Social Work and the Midwifery Research Unit. 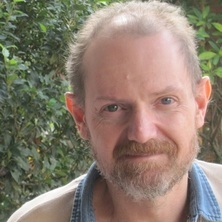 He is also a Honorary Research Fellow with the Mater Research Institute – UQ. He is a Midwife with clinical, education, research and policy experience encompassing a broad range of midwifery care provision including birth suite, continuity of care and community midwifery. Nigel is an effective clinical leader with a track record for linking research with clinical practice and effecting practice change. He completed a PhD in 2013 researching different techniques for the administration of sterile water injections for the management of back pain in labour. His research in this field is ongoing with two multicentre trials underway. Nigel’s other areas of research interest include the duration and management of normal labour. Nigel has expertise in conducting randomised controlled trials and mixed methods design. He is a strong collaborative researcher with projects involving fellow academics from Australia, Sweden, the United Kingdom and the USA.